The story begins in distant 1891. when count Arthur Kesselstadt tragically lost his life in a spring storm in the sea in front of Opatija. Devastated with grief, count´s family put the statue of “Madonna Del Mare” on the reef to wake for her lost soul. Because of harsh weather conditions the sculpture was damaged and later restored. 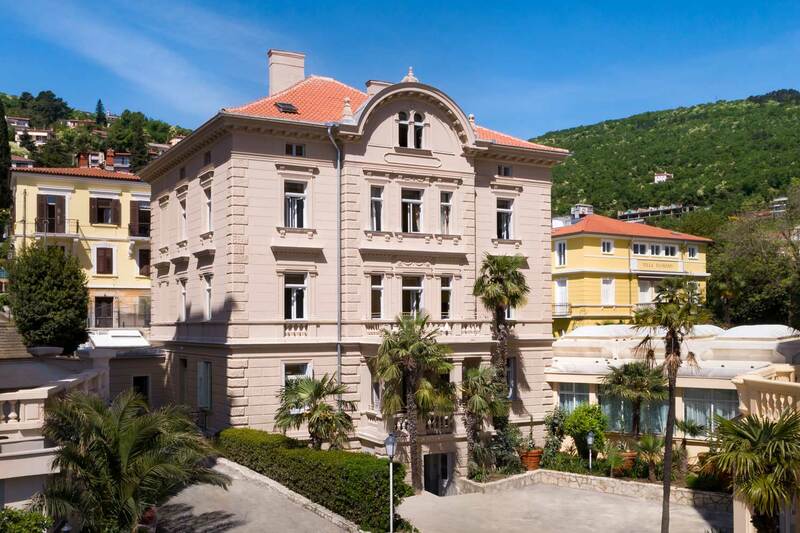 Its gilded replica can now be seen in St James´s Church above the Riviera, while the original is kept in the Croatian Museum of Tourism in the Villa Angiolina. As the place where the “Madonnina” once stood was left empty, it was decided to put another statue in its place. The “Maiden with the Seagull” was put up in 1956. The beautiful view of the sea extends in front of the statue. The scenery is especially impressive by night, when the Maiden is lighted with special reflectors or during the stormy weather when waves splash and water scatters over the reef giving the appearance of a nymph rising from the spray. That is the reason why one of the nicknames locals gave to the Maiden is the “Nymph”. You might be wondering who the Maiden with the Seagull really is. For 55 years no one had the answer to this question, until Mrs. Jelena Jendrašić from Crikvenica revealed that it was her who served as the model for the statue. The author of the statue, sculptor Zvonko Car, did not want to reveal the identity of the “Maiden with the Seagull”, saying: “Those who want to know should make a guess”! It took more than a year for the sculpture to be finished and during that time Mrs. Jelena would pose for hours… It is interesting to know that Mrs. Jelena and Mr. Zvonko were neighbors in Crikvenica. The artist would call her “My Opatija lady”, just like he used to affectionately call his statue.